The role of designers has traditionally been to design a building so that it conforms to accepted local building codes. The safety of workers is left up to the contractor building the designs. Research shows, however, that designers can have an especially strong influence on construction safety during the concept, preliminary and detailed design phases. 3. To evaluate the practical implications of the PtD mobile App for the construction industry, especially for building designers and workers. The cutting edge technologies explored in this book have the potential to significantly reduce the rate of serious injuries that occur in the global construction industry. 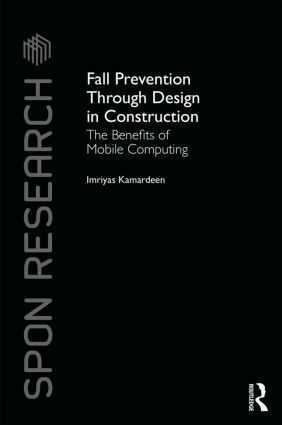 This is essential reading for researchers and advanced students of construction management with an interest in safety or mobile technologies. Imriyas Kamardeen is a Senior Lecturer at UNSW, Australia, specialising in ICT in Construction Management, and also the Editor of Construction Economics and Building (formerly known as the Australasian Journal of Construction Economics and Building (AJCEB)). His first book with Routledge, OHS Electronic Management Systems for Construction, was published in 2013.